Aspirants for the Barkin Ladi/Riyom Federal constituency at the Peoples Democratic Party (PDP) primaries currently engaged last minute efforts to clinch the party's ticket have reportedly flown money bags in a bid to win delegates. MKB witnessed the exchange of large sums of money between the aspirants and delegates at the Godiya Resorts and Hotel, Heipang, venue of the Primaries where electoral officials are still being awaited. The least amount handed each of the over 200 delegates expecting to vote is N25,000, it was learnt. 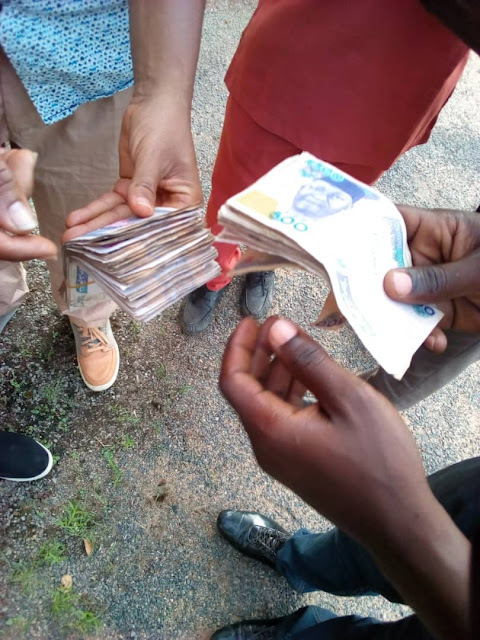 Some aspirants were caught on camera handing as high as N50,000 to delegates while others pledged to redeem balances after they might have voted. However, some of the delegates who pleaded anonymity expressed surprise at what they regarded as naira rain given the poverty level of the constituency. "If these people had these monies to dish out at a time like this, how comes this constituency is this backwards with so many people hardly being able to feed?" One of them questioned. The delegate who spoke in Berom language through an interpreter however vowed to vote his conscience regardless of the financial inducement.